Don’t feel bad that you haven’t heard of Blessed Feathers. They’re hard to pin down. The young couple, Donivan Berube and Jacquelyn Beaupré, have been on the road for years, literally living out of a tent. 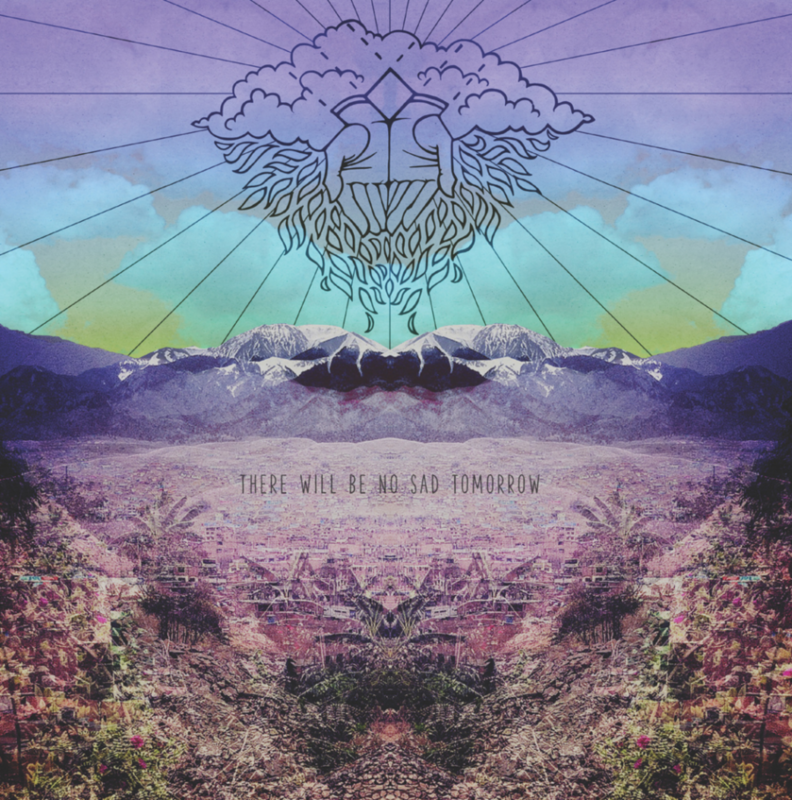 There Will Be No Sad Tomorrow is their second album, and it echoes their transient spirit. It’s full of sensations not of place or time, but of everything in between. Blessed Feathers weave movement and texture into a spacious tapestry. Some layers are drums straight from around the commune campfire. Some layers are Donivan and Jacquelyn pining in vocal harmony. Most layers are guitar. The denser songs mix reverb-soaked strumming with overdriven riffs with sparse, hoarse twangs—deftly and densely. It’s all about atmosphere, which at the album’s best is rich. But with fewer elements in the mix, it thins out like Rocky Mountain air. Compare the epic opening track, “Hitchhiking,” with its slow build and exotic, complex melody, to the ending track, “Everywhere I Go.” The closer is pretty, but tired. It’s quiet, subdued, simple, easy. It’s missing the vigor that would do the Blessed Feathers’ journey justice. In fact, the whole album is like a journey. It starts full of purpose and direction, but by the end, it’s aimless and ready for home. Maybe that’s the point. If you’re going to listen to There Will Be No Sad Tomorrow, it’s worth remember that it’s easy to start strong; finishing the same way is the challenge. Last week a rumor went around that LCD Soundsystem was getting back together. Fans rejoice! That didn’t happen—fans dejoice!—but it’s still a fine excuse to revisit one of the seminal albums of the ‘00’s. Sound of Silver came out in 2007 and has aged incredibly well. That happens when music has character. James Murphy, the frontman/visionary behind LCD Soundsystem, imbues the songwriting with all of his wit and ire and irony and anger. The songs have laugh lines, enriched by every pass of the needle (see: “North American Scum”). The songs have grooves carved from tears, and they are deep (see: “New York, I Love You But You’re Bringing Me Down”). And they really are groovy—don’t think that because thought went into this that you can’t dance to it. Actually, Murphy expects you to dance and think simultaneously. Get drunk, dance slowly, and mourn to “Someone Great” and its pulsing rhythm. Drink coffee, dance frenetically, and boggle at the passage of time to “All My Friends” and its simplicity-looped-into-mania. Be sober, dance quietly, and get innocuous to “Get Innocuous!” Except you won’t be able to, because the anything-but-innocuous energy of the song is shared by the album. That energy is expressed in all kinds of ways, and is very human. That humanity is in pianos and basses and guitars and drums and computers, and it wants you to join it. If you do, you too will be sad that LCD Soundsystem isn’t reuniting. Last week, quietly prolific bandcamp phenomenon Alex G (as in Gianscolli) released Beach Music, his 8th full length and first release with recent-signee Domino Records. 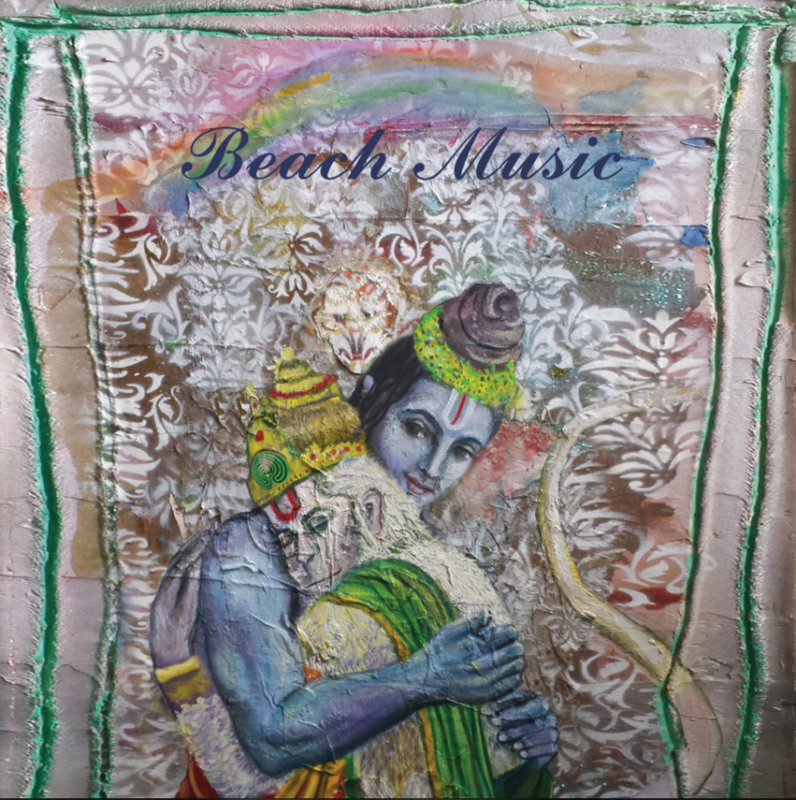 Beach Music continues Gianascolli’s casual nods to Elliott Smith with jangling arrangements of rickety guitar riffs, plus the oddly harmonious pitched vocals that form the signature alien-rock aesthetic the Philadelphia mid-20s songwriter’s cultivated through years of muted, successive online releases. Despite this fleshing out of much-adored aspects of Alex’s composition, Beach Music signifies itself as a new sound foray with consistent use of electronics, and jangling, complex arrangements, skillfully straddling the line between harmony and pitched up dissonance. Opening with a full-on, Soundcloud-IDM-artist level sample piece, about a minute long and entirely based in odd drum samples and bits of pitched conversation, a sort of condensed Aphex Twin outtake. Drum claps and electronic tinkerings, ambient waves and pitch shifts abound throughout. As opposed to the Garageband, unmastered qualities of early Alex records (DSU, the preceding full length, was the first to be mastered), Beach Music offers a more produced sound, without losing the downtrodden, depressed college rock malaise aesthetic that you can drive lonesome highways or walk wet streets in a cloudy city for hours to. Over the summer, a largely unknown Chicago quartet quietly released their 11-track self titled on Brooklyn/Chicago/Kalamazoo-based label Already Dead Tapes. 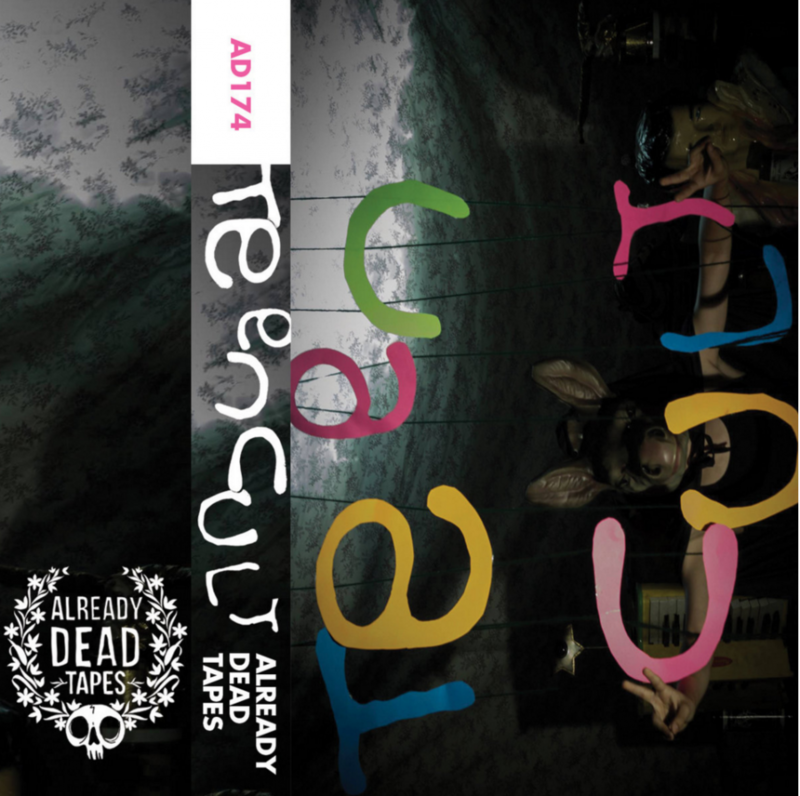 Teen Cult has since casually burrowed into my brain as one of my favourite art-rock releases of the last year. Flawlessly mixing a tapestry of sound – the loud, aggressive puncturing of math rock; the grand marches of big band; Spanish rag and carnivale crescendos; a breathless jazz sentiment and dreamy verses – Teen Cult offer a variety of seemingly discordant styles in a perfectly wrapped package of artful rocking. Equal parts meditation and theatrics, Teen Cult offers a variety without losing focus, a diversity of sound without sacrificing continuity. Though the record oscillates between about a hundred seemingly discursive themes, a tactful compositional arrangement and studied sense of musicality (Teen Cult’s members are super prolific in the Chicago DIY scene; just google Nnamdi Ogbonnaya if you don’t believe me), culminate in a record that is at once prolific, storied, and inexhaustible. I would recommend sitting down with this record over a quiet dinner of curry and homebrewed wine; recline hard in your recliner and stare out from a high rise over the city as the sun sets; breathe in this record, let it burrow itself into you the way it’s burrowed into me.